Provide comfort for the family of Steve Beggs with a meaningful gesture of sympathy. 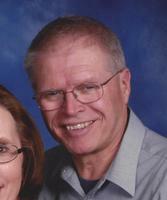 Garden City- Steve Beggs, 67, died on Friday, February 8, 2019 at Via Christi Hospital- St Francis Campus in Wichita. He was born on April 12, 1951 at Dodge City the son of Eugene V. & Marcheta (Barns) Beggs. He married Patricia J. Rueb on April 5, 1975 at Windhorst. Steve graduated from Ensign High School and attended Dodge City Community College. He moved to Garden City and had several jobs including working at Gibson’s, Cash And Carry Lumber, owning and operating Empire Floor Covering, & Cabinetry, working at Target and currently was at Ward’s Garden Center. He enjoyed his antique and muscle cars, gardening, drawing and sketching and taking his grandsons to car shows and anything they were involved with. He was preceded in death by his Parents and Brother- Scott Beggs. He is survived by his Wife- Pat Beggs of the home, Son- Ryan Beggs of Manhattan, 2 Daughters- Stephanie & Willis Ohl of Ellsworth and Lisa Beggs of Garden City, 2 Sisters- Linda Miller of Dodge City and Krystal Beggs of Ensign & 3 Grandchildren- Corvin Beggs, Rylan Ohl and Bryson Ohl. 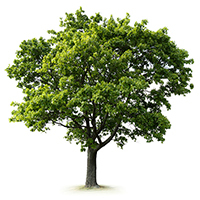 To plant a memorial tree in honor of Steve E. Beggs, please visit our Heartfelt Sympathies Store.